Hello, I’m interested in 6816 W BOTTLEBRUSH LN S Unit 850 and would like to take a look around. 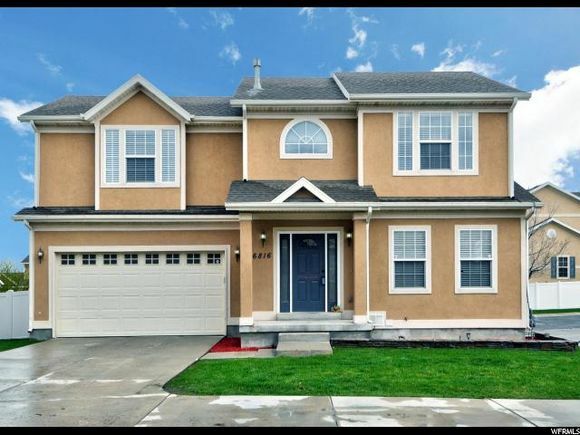 The details on 6816 W BOTTLEBRUSH LN S Unit 850: This house located in Maples at Jordan Hills, West Jordan, UT 84081 is currently for sale for $299,900. 6816 W BOTTLEBRUSH LN S Unit 850 is a 2,225 square foot house with 4 beds and 4 baths. 6816 W BOTTLEBRUSH LN S Unit 850 is in the Maples at Jordan Hills neighborhood of West Jordan. This house is in the attendance area of Sunset Ridge Middle School, Fox Hollow Elementary School, and Copper Hills High School. Listing Courtesy of: WFRMLS and McOmber Team Real Estate.